If you have rheumatoid arthritis (RA), you probably have to spend a lot of time and energy managing your condition, in addition to handling your energy levels as best you can, and trying to find the right drugs to offer some relief. You also may follow a strict diet to limit your consumption of pro-inflammatory foods. This is a wise strategy, but it can be challenging to spend so much time focused on what you can't eat or drink. Fortunately, I have good news. A study recently published in the Iranian Journal of Pharmaceutical Research investigated a particular treatment option for RA patients. And it includes healthy and delicious foods that you not only can but should eat. For this study, the researchers divided 56 adult RA patients into two groups. All of the patients were taking disease-modifying antirheumatic drugs (DMARDs), but one group also took an herbal supplement made up of olive oil, figs, and olives. The researchers checked in with the participants every four weeks for a total of 16 weeks. They evaluated the participants' health according to a Disease Activity Score based on Erythrocyte Sedimentation Rate, as well as according to a Patient Global Assessment (PtGA). During the course of the study, the researchers didn't notice major changes between the two groups. However, as the study neared its close, the researchers found that the intervention group was starting to show non-linear improvements on the PtGA, indicating that the herbal supplement was kicking in. It had just taken some time. The researchers believe that a longer follow-up period would have allowed them to see more drastic improvements in the experimental group's health. 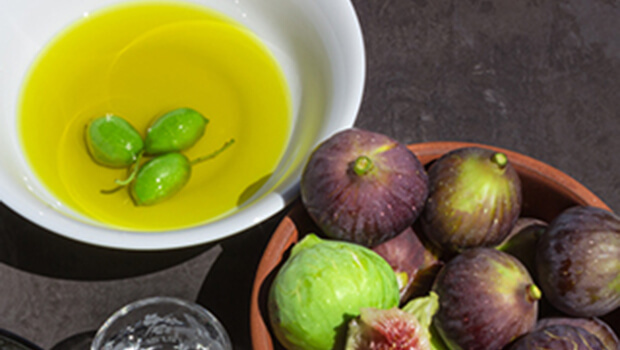 Olives, olive oil, and figs have anti-inflammatory, immunomodulatory, antimicrobial, anticancer, chemopreventive, analgesic, and antioxidant properties, so it's no wonder they can benefit people with this inflammatory autoimmune disease. They've been used in traditional medical practices for centuries to treat a variety of inflammatory disorders. And they're still just as beneficial - and just as delicious - today. Let this news encourage you - you can still enjoy some treats that are not only not harmful but will actually benefit your health. And if you'd like to take your anti-inflammatory efforts a step further beyond snack time, you also can give Reduloxin a try. This blend of nine herbs and nutrients is designed to support a healthy, natural anti-inflammatory response and includes ingredients that will specifically target your joints.